Anthony was born and raised in Springfield, OH. 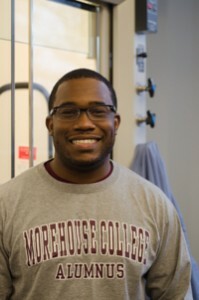 He attended Morehouse College in Atlanta, GA and worked in the laboratory of Dr. Brian Lawrence on projects related to natural product synthesis and materials chemistry. Before pursuing graduate studies at Yale, Anthony also received training in organic synthesis during summer research internships at Brown University and the Broad Institute of Harvard and MIT. Outside of chemistry, he enjoys playing soccer, tennis, and volleyball, attending plays and symphony concerts, and watching Shonda Rhimes TV shows.